Slow Cooker Split Pea Soup By Valerie - From Valerie's Kiitchen. 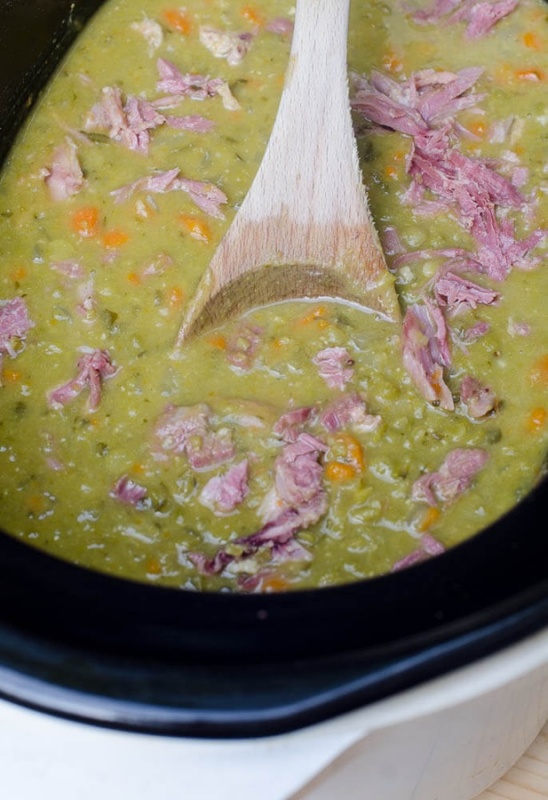 This Slow Cooker Split Pea Soup is a great way to make use of that leftover bone from your holiday ham. Cooking it low and slow is the best method for creating creamy, delicious split pea soup.